New Life Sciences appear to be based out of Japan and operate in the weight loss and nutritional supplement MLM niches. The company website lists product return addresses for the US and Europe (Germany), however Saitama, Japan is the only physical address provided. The State of Texas is the place of the origin of this Contract and is where the Company accepted the offer of the Applicant to become a Distributor and where the Distributor entered into the Contract with the Company. Why New Life Sciences don’t provide a corporate address in Texas on their website is unclear. New Life Sciences initially launched as Asia Sciences back in 2014. The switch to New Life Sciences appears to have taken place around mid 2016. I was unable to find a reason for the name-change. Heading up the company is CEO Rick Creighton (right). Mr. Creighton has spent over 20 years in the Direct Selling industry as a distributor and building highly successful teams. His largest team exceeded 250,000 distributors! He is also a former owner of a Direct Sales Company with sales in over 70 countries. On his LinkedIn profile Rick Creighton cites his location as Austin, Texas. He is also listed as the co-founder of New Life Sciences. Prior to founding Asia Sciences in 2014, Creighton was involved in BodyExtreme. BodyExtreme was a nutritional supplement MLM company Creighton co-founded in 2000. At some point BodyExtreme seems to have integrated with TelExtreme, a cell service MLM opportunity. Read on for a full review of the New Life Sciences MLM opportunity. New Life Sciences market a range of weight loss, nutritional supplement and “water enhancement” products. The New Life Sciences compensation plan pays affiliates for selling products to retail customers and newly recruited affiliates. 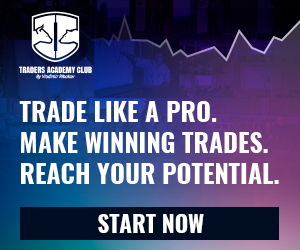 Initial commissions are paid out via a unilevel team, with residuals paid out via a binary team. Several generational matches and monthly bonuses are also available. There are nine affiliate ranks within the New Life Sciences compensation plan. New Life Sciences affiliates are paid a commission when they sell products to retail customers. The New Life Sciences compensation plan states that retail commissions ‘can range from as low as $5 up to $1,000 depending on the sale‘. Note that for “machines” (presumably the water ionizer), the New Life Sciences compensation plan states affiliates must be “machine qualified” earn retail commissions. Machine Qualified requires an affiliate to purchase a machine or sell two machines to retail customers. New Life Sciences affiliates who aren’t Machine Qualified only receive half of the $1000 commission generated ($500 is passed up to the first Machine Qualified upline affiliate). Some product packages generate a five-generation deep residual retail commission, paid out via a unilevel compensation structure. Residual retail sales are paid out via a unilevel compensation structure. The residual commission is initially paid down an unlimited depth across all unilevel legs. Once an Executive Director or higher ranked affiliate is found in a leg however, that caps off the first generation. From there residual retail commissions are paid down four levels from the level the Executive Director is on (for that leg only). Although not explicitly clarified, I believe higher ranked affiliates collect tiers below their rank (although only one tier commission is paid per affiliate). New Life Sciences pay recruitment commissions using the same residual model as retail commissions (see residual retail commissions above). New Life Sciences pay residual commissions via a binary compensation structure. Unmatched volume on the stronger binary side is carried over. Manager and higher ranked New Life Sciences affiliates qualify for a four-generation deep matching bonus on residual binary commissions. It’s kind of confusing but I think that refers to a standard four-level deep unilevel team. Team Leader Residual Bonus payments appear to be based on affiliate spend within those four levels, excluding anything that has an attached retail commission (which makes no sense). To qualify for the Team Leader Residual Bonus an a New Life Sciences affiliate must generate 50 PV a month and have recruited at least two affiliates (one on either side of the binary team, with 20 GV on both sides). New Life Sciences pay a $500 monthly car bonus to Executive Director and higher ranked affiliates. The monthly Car Bonus is increased to $700 a month if the qualifying affiliate opts to cover their car in New Life Sciences advertising. If an affiliate doesn’t wish to put the Car Bonus towards a car they can opt to receive 50% of the monthly bonus in cash. New Life Sciences pay Crown ranked affiliates a $4000 a month Home Bonus. The Home Bonus can also be put towards a luxury car lease, provided the car has New Life Sciences license plate frames and a rear window logo. If an affiliate doesn’t wish to put the Home Bonus towards a home or luxury car they can opt to receive 50% of the monthly bonus in cash. New Life Sciences affiliate membership is free. Everyone initially signs up as a retail customer. They qualify for an affiliate once they’ve recruited two affiliates. If a new affiliate purchases a $599 to $659.95 “Director Pack”, they qualify at the Director rank for three months. What initially struck me as off about New Life Sciences was that retail customers could become affiliates through recruitment. Retail customers in MLM are supposed to be cut off from the compensation plan and unable to recruit and/or earn commissions. This took me a while to get my head around but eventually I realized New Life Sciences were trying to game regulatory compliance. By classifying everyone as an affiliate, New Life Sciences gets to count affiliates who haven’t recruited as retail customers. More importantly though, any money they send is recorded as retail revenue. This is exactly the same nonsense Herbalife were pulling until the FTC sorted them out. Put simply, without a clear distinction between affiliates and retail customers everyone is an affiliate. 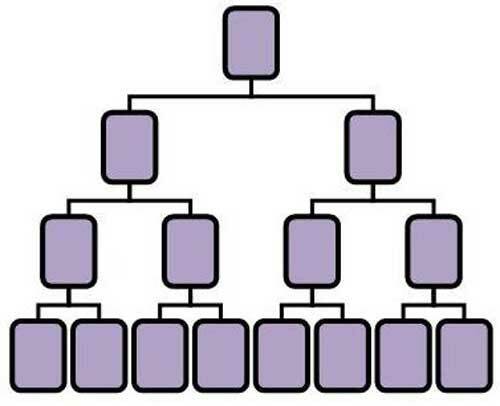 100% affiliate in MLM equates to a pyramid scheme which, based on its current compensation plan, is how New Life Sciences is operating. On top of this you have a poorly presented compensation plan, in which nothing works in synergy. Rather it all feels mashed together, with the company’s own confusing explanations provided in official compensation plan documentation certainly not helping. New Life Science’s compensation plan wholly failed my headache test and took a lot longer to dissect than it should have. Which is a bit worrying, considering CEO Rick Creighton claims to have “a specialty in compensation plan dynamics”. “Pay to play” is also a problem, with New Life Sciences affiliates able to buy the Director rank through the Director Pack. Rank qualification in MLM should only ever be tied to sales performance, not how much an affiliate spends themselves. Speaking of mashing things together, let’s move onto New Life Science’s product line. New Life Science’s offering is squarely rooted in “new age medicine” territory, which pegs a big question mark over what the company is charging. Some of the product packaging, the tea on the right for example, looks like someone printed it off in their garage. 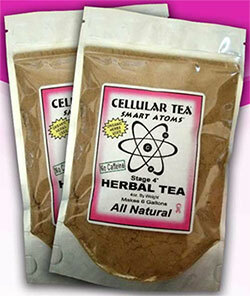 Nevermind the fact that “smart atoms” appears directly below the Cellular Tea logo on the New Life Sciences website. This combined with a lack of scientific studies of any of the supposed benefits, makes New Life Sciences’ product a potentially hard-sell. As far as the water products go. If you’re willing to shell out three grand for a small (looking) filter, you’re obviously already not trusting the local water. No one is dropped three grand on a water filter as an impulse buy, meaning there’s likely stiff local competition. Can New Life Science’s water filtration system compete at that price-point? Depends on what’s available locally, which I’d highly recommend checking out before committing to anything. Given what I do know is available locally in my area, $100 for a non-mechanical water filter jug meanwhile is pretty steep. I get the sense that everyone being an affiliate ties into the evident lack of retail viability (in my opinion) of New Life Science’s products. If an affiliate wants to qualify for “product pack” commissions, they’ve got to either purchase the product tier themselves or make two sales (to those they’ve recruited). There’s no reason for an affiliate’s own purchase to qualify them for commissions, other than to encourage affiliates to buy first and recruit others who do the same. Trying to sell to others off the bat isn’t even a one for one equivalent, with the double volume requirement likely serving as an (intended?) deterrent. If having “Asia” in the company name wasn’t the reason for the Asia Sciences re-branding, I can only imagine the business opportunity itself wasn’t taking off. Given New Life Sciences’ compliance issues, products and overall business model – I still can’t see it happening anytime soon.